As I mentioned in my recent ramble on Joanna (1968) Sebastian (1968) was also deemed part of the short lived genre ‘swinging London’ although more of a middle aged depiction of that period than the youth orientated offerings we were used too. 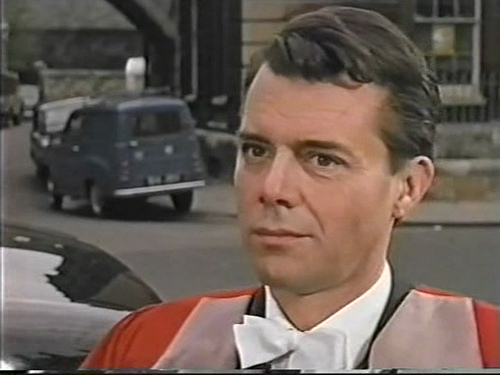 The film stars the great Dirk Bogarde in one of his sixties guises, the male menopausal Oxford don. Directed by David Greene, who was also responsible for the 1968 the crime drama The Strange Affair another British movie that would be worth investigating for a future ramble, that’s if you can get hold of a copy, and produced by the legendary Michael Powell. Based on a story by Leo Marks, a pairing that was also responsible for the highly controversial masterpiece Peeping Tom (1960) a British psychological thriller that revolved around a serial killer that effectively destroyed Powell’s career in the UK. 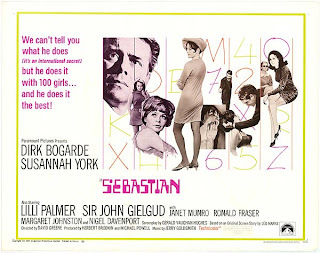 Originally described as a spy drama Sebastian develops into a love story between Bogarde, whose computer like brain make him indispensable to his MI6 employers and Susannah York’s Jenny, the bright young thing he employs to join his staff of female code breakers. Strange but fascinating, another film that got “lost” and therefore not available at present on DVD like many other’s from this very interesting period, which is a great shame. Maybe the BFI will bring out more of these movies on it’s Flip Side series?